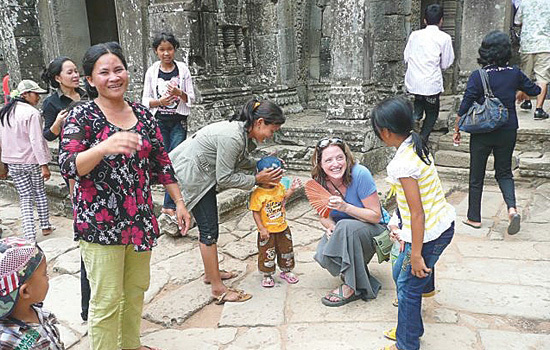 Christy Smith, kneeling, is greeted by natives in Siem Reap, Cambodia, during her trip to eight countries for Discovering Deaf Worlds in 2007. In 2003, Christy Smith became the first deaf contestant on the CBS reality show Survivor. She spent more than a month living in the Amazon jungle. Since then, she has worked as a motivational speaker, taught sign language and developed a television show called Christy’s Kids to encourage children to challenge themselves. Working as a camp counselor in her native Colorado, Smith met David Justice, a Rochester native who was interpreting at the camp. Together they formed Discovering Deaf Worlds, www.discoveringdeafworlds.org, in hopes of empowering and advocating for deaf people around the world. They spent a year visiting eight countries and earlier this year produced a documentary, Discovering Shuktara, about a home for 18 children with multiple disabilities in India. The documentary has been shown in several film festivals around the world. She says the trip showed her that advocacy, education, awareness and employment are greatly needed. 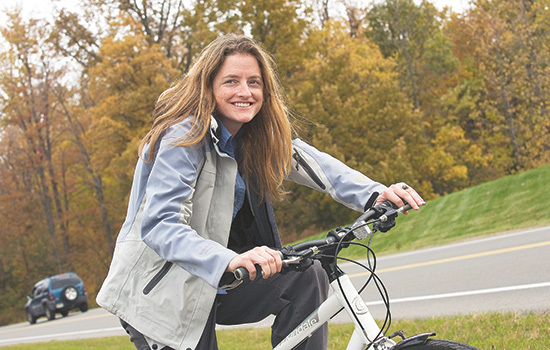 A 2000 criminology and sociology graduate of Gallaudet University, Smith has made Rochester her home and is now enrolled in NTID’s secondary education master’s degree program. Discovering Deaf Worlds has added a third partner, Davin Searls, an English tutor at NTID; a return trip to India is in the works for March. And next summer, Smith plans to attend a 10-year anniversary Survivor castaway party in Catalina Island in California. She says she’s humbled and shocked that people still recognize her, even though some can’t recall where they’ve seen her before.